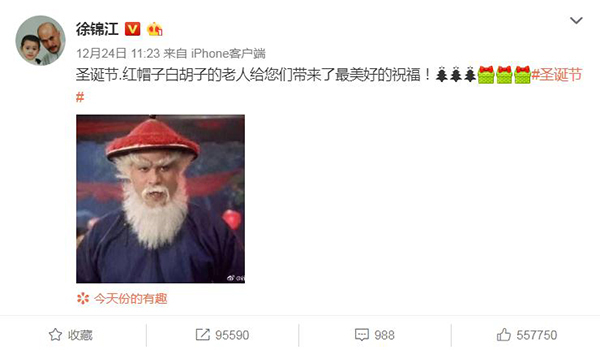 "We wish you a merry Christmas" with pictures of Elvis Tsui seems to the latest trend among Chinese netizens during this year's Christmas. 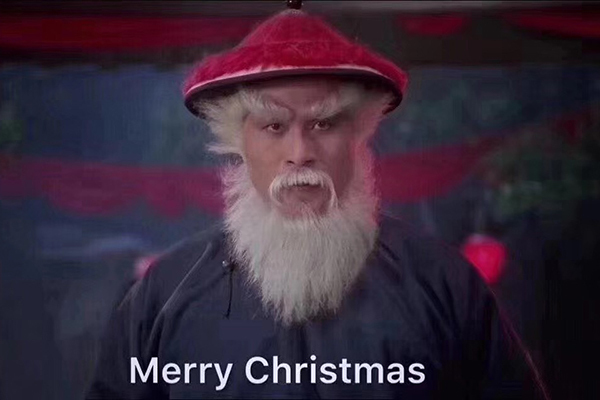 Born in 1961, Hong Kong veteran actor Elvis Tsui has become the latest internet icon thanks to the classic character he played in the 1992 comedy movie Royal Tramp, where he looked a bit similar to Santa Claus, with a red hat and white beard. The movie Tsui starred in was adapted from The Deer and the Cauldron, a novel by late Hong Kong novelist Louis Cha. 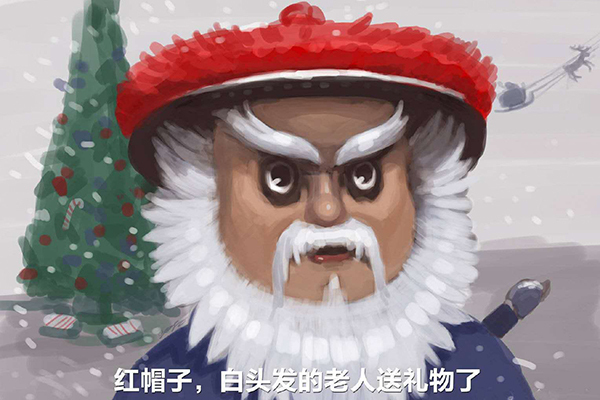 Tsui played the role of Oboi, a malicious and greedy military officer who conspires to fight for the throne. Also, the character's name Oboi is pronounced similar to "all buy" in English, which encourages people to buy some gifts for loved ones. And the coincidence further increases the popularity of Tsui. 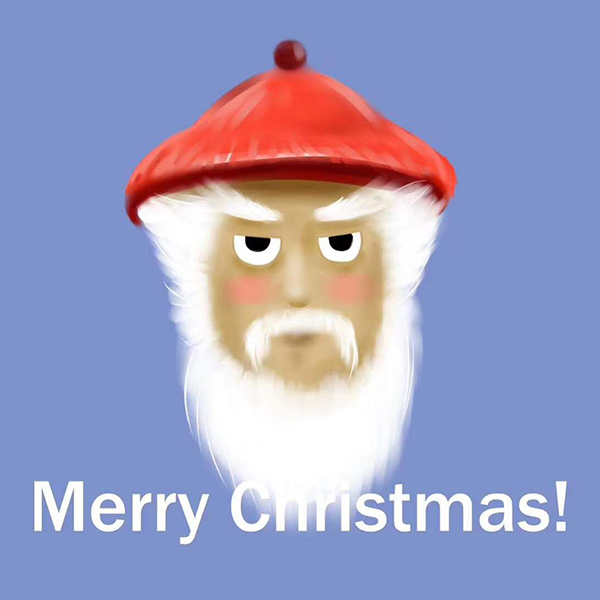 Reputed as China's Santa Claus, Elvis Tsui has been frequently searched on Dec 24 on Sina Weibo, China's answer to Twitter, and his images have been adapted into , micro videos, gifs and emojis. 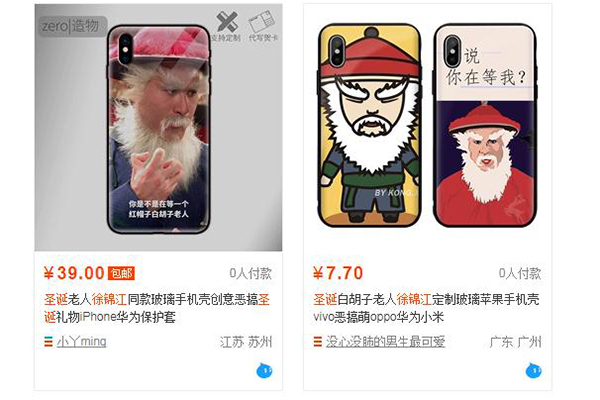 Some clever business minds have produced tailor-made products on China's e-commerce platform Taobao. 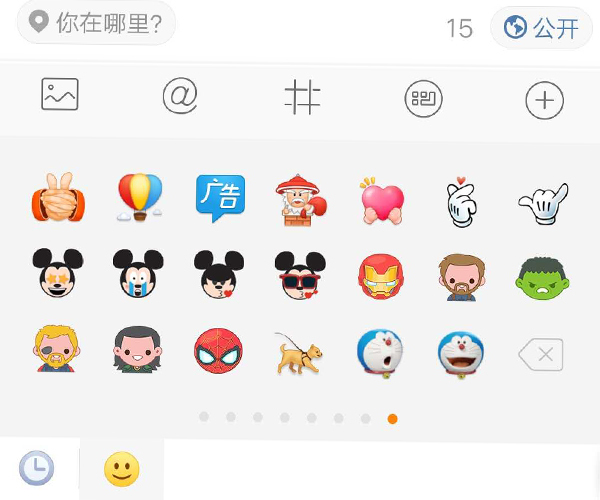 On Dec 25, the film's image of Tsui has already been added into Sina Weibo emoji list for users to choose from. 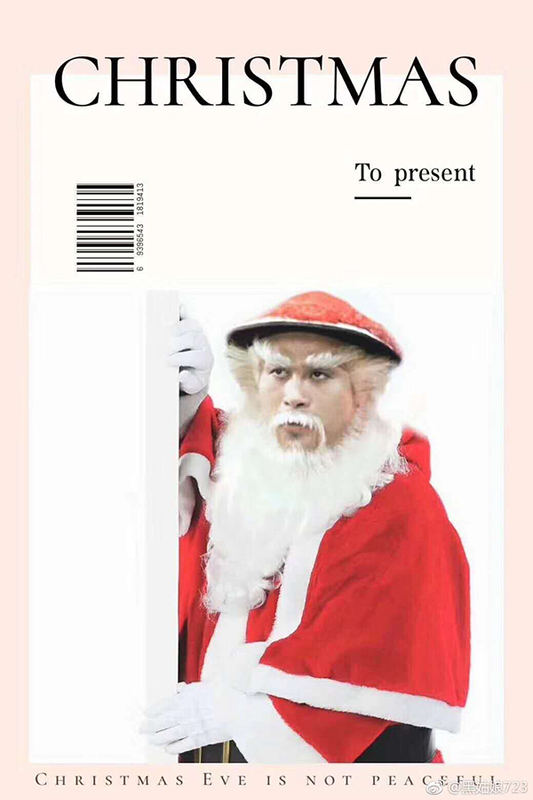 "I have been waiting for more than two decades to find the Chinese Santa Claus, and he is the perfect image in my heart," said weibo user Xiao Midou1993. 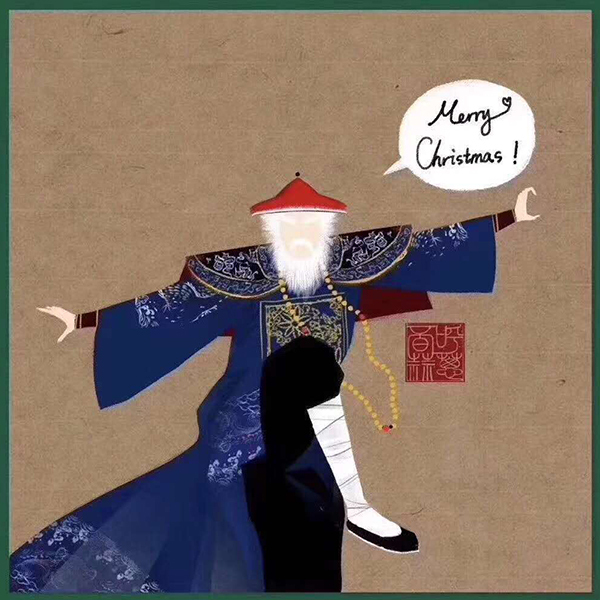 In response to the enthusiasm shown by online users, the 57-year-old was pleased to receive the new title, and wrote on his official weibo account, "It's Christmas and the old man with a red hat and white beard is ready to bring you the best wishes!"